The Summer of Color challenge this week is Pink, Apple Green with a touch of dark green. I couldn't find my compass so I tried my hand at drawing a mandala on the computer. I followed the directions on the link above and it worked out pretty well. I only had colored pencils and a sharpie with me so that's what I used to color my mandala. This pattern is called the Seed of Life. There is something very soothing about coloring a mandala. Maybe it's the repeating pattern. Colored pencils are one of my least favorite tools for putting down color. I don't feel like I have a lot of control. I'm told it takes a lot of practice to get a good even layer of color. Patience is not one of virtues so I am not sure I'll ever get enough practice to get competent with them. What is your favorite tool/method for laying down color? Mandalas are one of my favorite things to create, just because of the nearly meditational feel I get when doing it. You did great with yours. I'm very impressed that you learnt a new computer thingy to create this lovely piece of art Boo. This is beautiful. With limited art supplies, you have put your creative brain to work and it turned out a stunning mandala. I really need to learn how to blend with colored pencils. 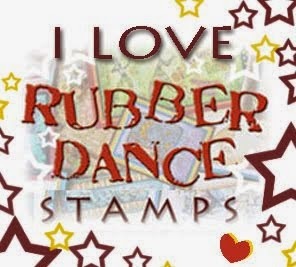 Of course the ones I used were for kids! Ooooh. I love your mandala! 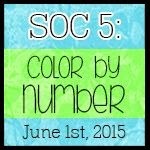 It is the perfect way to used this week's SOC colors! Thanks. Now I want to do one with watercolor. Wow this worked out very well. I really like this!!! Great mandala - wonderful use of this week's colours and using limited supplies. Well done! lovely mandala! I prefer watercolor pencils or paints rather than just pencils. Yes Mandala's are peaceful to recreate. Have you tired water color pencils? Your mandala is lovely! I like color pencils but have not had a lot of luck with blending either. Nice soothing mandela for sure! I love your mandala! I still haven't really got the hang of drawing and colouring them in but I keep trying! You did great! Smart girl.